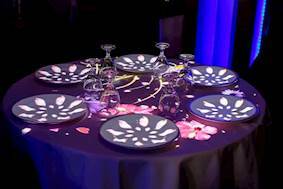 Задача: To enhance the ambience of an entire restaurant, including dining, bar and VIP areas, using projection mapping and interactive content that compliments the dining experience without being distracting. 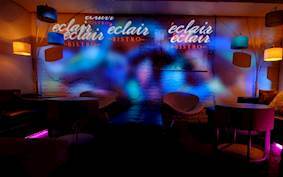 Решение: Using a combination of Optoma standard throw and short throw projectors with Microsoft Kinect sensors, Éclair Bistro and Martini Jazz Lounge equipped its dining room with ambient projection mapping and its bar and VIP room with interactive projection experiences. 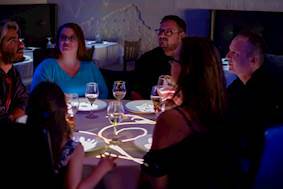 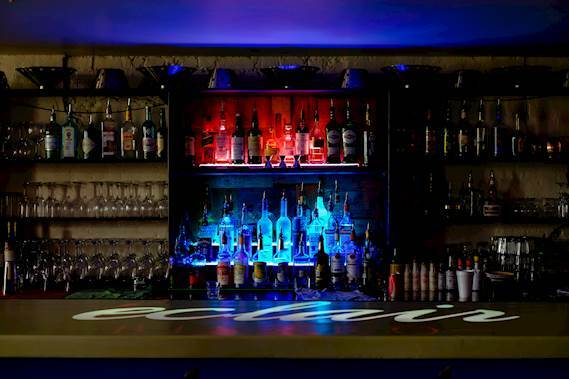 Результаты: Overcoming the limitations of an older building with challenging mounting locations and limited ceiling heights, Optoma projectors provided the flexibility needed to deliver a unique projection-mapped dining and interactive bar experience.